“Whenever the media distort a story, either willfully or out of ignorance, it generates skewed commentary. The latest example is what happened following the announcement that Pope Benedict XVI was seeking reconciliation with the St. Pius X Society. News reports quickly surfaced that the pope had welcomed back a Holocaust-denying bishop. Nonsense. “So what will it take for these bishops to get reinstated? 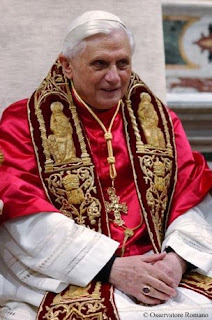 The pope said it best: ‘I hope my gesture is followed by the hoped-for commitment on their part to take the further steps necessary to realize full communion with the Church, thus witnessing true fidelity, and true recognition of the magisterium and the authority of the pope and of the Second Vatican Council.’ There is no way to read that other than to conclude that to be fully reinstated in the Catholic Church, all those who have passed the first test must now clear the big hurdle: either accept what the Catholic Church teaches or remain on the sidelines. And what the Church teaches, among other things, is the necessity of respecting our Jewish brethren.